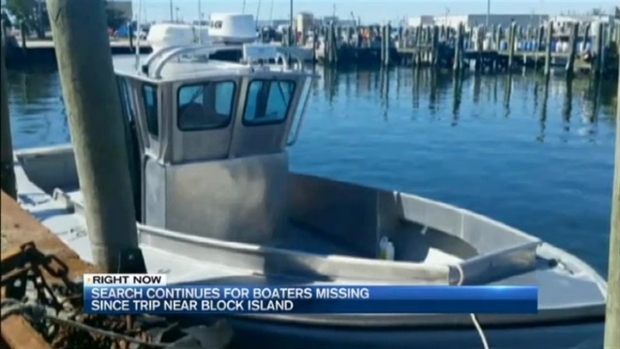 The Coast Guard is searching for two missing boaters who did not return from a fishing trip near Block Island, Rhode Island, Sunday. Officials received a report around 6:30 p.m. that 54-year-old Linda Carmen and her 22-year-old son Nathan Carmen had not returned. They were last Saturday evening departing from Ram's Point Marina in Point Judith in a 32-foot boat. The Coast Guard Sector Southeastern New England, in Boston, said Monday evening the search was focused on Hudson Canyon, about 115 miles south of Montauk, New York. No further details were released. Anyone with information is asked to contact the Coast Guard at 508-457-3211.